Treo 670 Running Windows Mobile? For the past few days, photos of the rumored Treo 670 have been sprouting up on the internet. We even had some fun with them in the Treo forums. Surely, we thought this was yet another experienced Photoshop user who managed to add a Windows Mobile screenshot to a Verizon Treo 650. This rumor has escalated in believablilty with the release of videos on Engadget showing a Treo 670 running Windows Mobile. While the video is blurry, it’s very clear that we’re seeing a Verizon Treo running Windows. 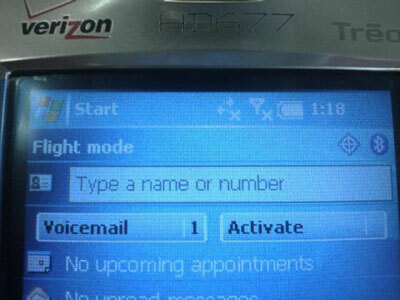 Discuss the Treo 670 in the forums.